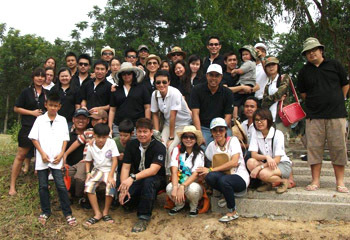 As part of its environmental stewardship program, Steven J. Leach + Associates (SL+A) recently took part in a planting activity at the Sirindhorn International Environmental Park (SIEP) in Petchburi province. 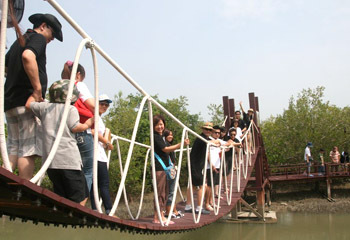 Inaugurated in 2003 the park is envisioned to become an international learning center on energy, natural and environmental resources. 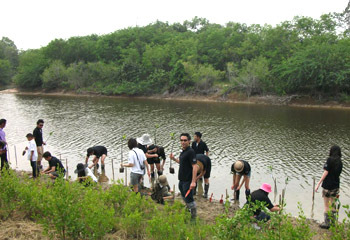 The project “Green SIEP with Royal Gracious Kindness” (initiate by the royal concept of HRH Princess Maha Chakri Sirindhorn) aims at planting 100,000 tree seedlings in its initial phase of creating the first ever man-made mangrove forest in the world. 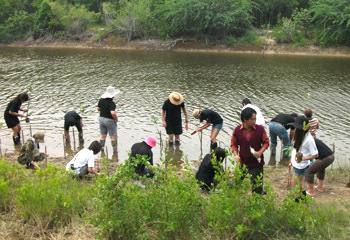 SL+A took their corporate social responsibilities seriously by diving straight into the task and planting one hundred seedlings. 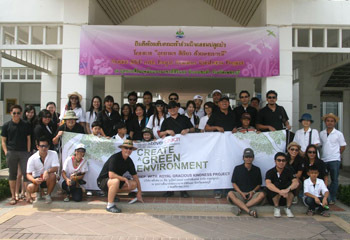 Donal T. Coyne (third from left – front row), managing partner of SL+A, hoped that the team could return next year in support of the project and to see through the sustainability efforts of this activity.